A friend called me recently in a bit of a panic. One of her college-aged children was tangentially involved with a crisis at her university, and my friend and some of the other parents were wondering if it would be beneficial to engage a public relations expert. Should they reach out to the media or not? How might their kids be perceived? They had many questions. Before we dug into the details of the incident, I told my friend that the very first thing that needed to be done was to ensure that the students did not say anything about the incident that might end up online. I cautioned: Don’t post anything about it on Facebook, don’t tweet about it, and absolutely do not speak to anyone from the media. I told her that the most important thing was to guarantee that her child’s name was in no way associated online with this situation. She needed to keep her kid’s name shielded from this crisis, so the student would not be associated with it in any way – pro, con, or indifferent. We are in a whole new world of public relations crisis management because the Internet is now king. I say this because I have been seeing more and more situations where people are literally in the wrong place at the wrong time and end up being crucified online. They find themselves with a massive problem that they are in no position to solve. For example, I recently spoke with a young man who, while in college, worked as an assistant manager for one of the university shops. While he worked there, the full-time head of the shop passed away unexpectedly. A subsequent audit found that money was missing, and the police were called to investigate the embezzlement. As part of the investigation, they questioned the young man. It’s important to note that he was questioned, not arrested. He complied with the police, and even turned over his laptop for their review. After they checked him out, the cops determined he had no connection to the missing money, and he was completely cleared. Meanwhile, the university newspaper wrote a story about the embezzlement and mentioned that the young man was questioned by police. The online version of the story now appears on the first page of search engine results when you search for his name. Fast-forward a couple of years, and the guy is now out of school and trying to get a job, but he can’t. He’s in finance, and whenever he applies for a job, he is researched online and prospective employers see his name associated with an embezzlement case. The guy is screwed. If you were a human resources manager, would you give this guy a fair shake? All things being equal among candidates, which applicant is more likely to get an interview: an applicant with a spotless resume or one who was questioned about embezzlement? What if you are quickly trying to vet dozens of candidates? The young man has a communications crisis on his hands, and it is nothing like any of the classic case studies covered in a PR course syllabus. I believe we need to add “Assess the potential for long-term online damage” to the list. Online reputation management vaults to the front of the line. When we encounter a crisis, we quickly need to determine what the online legacy will be, and then develop a strategy to prevent negative coverage from the onset. Understanding that something stated online (whether true or not) can be damning for years to come is absolutely critical. This concept should be part of every organization’s media policy and ingrained in public relations and communications pros, both young and old. Negative online articles and stories can be mitigated and, in some instances, completely removed; but this process is more expensive after the fact and not always possible. Knowing your online vulnerabilities at the beginning of a crisis can save companies from lost revenue and individuals from lost career opportunities and other heartache. 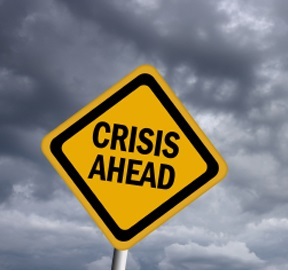 The big takeaway is that if you are associated with a crisis, either directly, indirectly, or just by accident, the online reporting of it can affect you for years to come — and this must be managed as quickly as possible. Not only has the Internet redefined the public relations crisis, it has become judge, jury, and reputation executioner. Please share your thoughts on my original blog post here. I would be happy to hear from you.